As automobiles have risen in popularity, the park has been forced to change its methods of transporting visitors. Today, the parks service owns and operates a shuttle line that spans the length of the rim trail. The shuttle service has been running for over 40 years. Congestion has continued to increase and in response, the shuttle service has expanded outside the park boundaries to Tusayan in order to keep traffic out of the park. Fred Harvey has also been responsible for much of the touring available in the canyon. 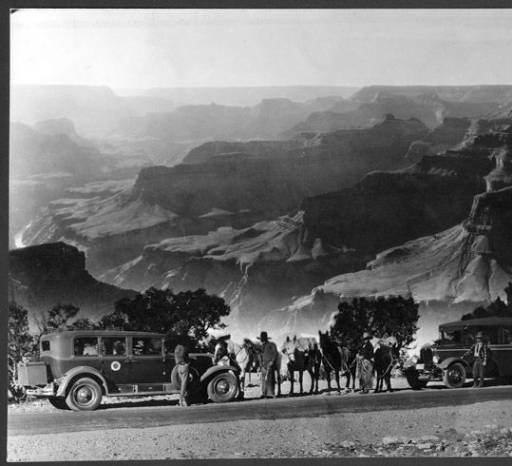 When the lodging on the rim was still under the Harvey name, Harvey cars would be available to take visitors to the various viewpoints of the canyon. From this, and from Harvey's Indian Department, came the Indian Detours program - a valet service that took patrons on all-expenses-paid trips to natural sites. Mule rides remain the most consistent type of travel below the rim. Visitors can take mules along the rim or choose to go down into the canyon to camp at Phantom Ranch. Most locations below the rim are limited to foot or mule travel, due to the steep cliffs and narrow trails. Mules remain the only way food and mail are transported down to Phantom Ranch. Dr. Agnes Allen was the first woman employed at NAU to hold a Ph.D. She came to become the head of the science department and founded the Department of Geography and Public Planning. Dr. Allen was also involved with the campus hiking club and frequently took her students out on hikes for field trips. Her legacy holds strong on NAU's campus - for what she has done for science, for women, and for education. 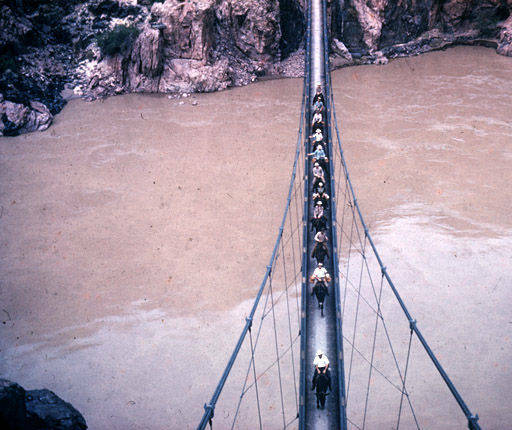 Horses and riders on bridge over Colorado River in the Grand Canyon. 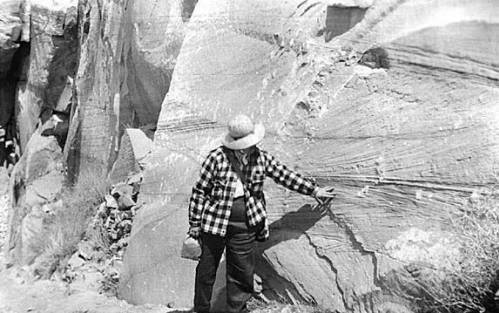 cience Class field trip; Grand Canyon, Kaibab Trail: Dr. Agnes Allen points out the crossbedding in Coconino Standstone.